Tata Group, India’s biggest conglomerate, is exploring strategic options for its Jaguar Land Rover Automotive Plc unit including a potential stake sale in the struggling luxury carmaker, people familiar with the matter said. “There is no truth to the rumors that Tata Motors is looking to divest its stake in JLR, and we would not like to comment further on any market speculation,” Tata Group said in an emailed statement. A spokeswoman for Jaguar Land Rover declined to comment on Tata’s intentions for the business. Tata Motors’ shares surged as much as 3.7 percent and were trading at 182 rupees, up 2.7 percent at 2:35 p.m. in Mumbai. “The U.K. stays the most important market for JLR and that market has a lot of problems due to Brexit,” Deepesh Rathore, London-based director at Emerging Markets Automotive Advisors. 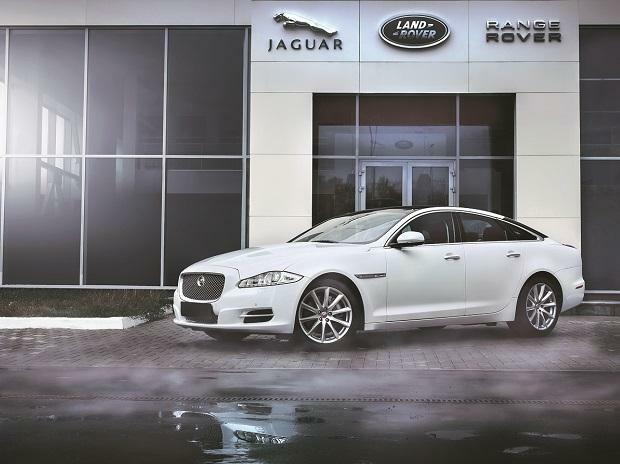 “With so many headwinds, JLR needs massive investments to prepare and ride the next upturn of the market.” Jaguar Land Rover said last month it was seeking alternative funding sources as conditions were not right to borrow from the bond market. The maker of the Jaguar XE sedan and Land Rover Discovery sport utility vehicle needs to raise $1 billion in 14 months to replace maturing bonds and is also burning cash on an investment program for electric cars. Tata Motors bought the brands from Ford Motor Co. more than a decade ago for $2.3 billion in its biggest-ever acquisition. The company has considered listing a stake in Jaguar Land Rover in previous years, people familiar with the matter have said. Moody’s Investors Service, S&P Global Ratings and Fitch Ratings all have a negative credit outlook on Tata Motors for risks related to the UK business.